Salon towels Premium-PLUS High End Hand towels 15x25 colors at low bulk price. Choose from variety of colors made of 100% supreme cotton. Do you need to order colored hand towels in bulk but you’re afraid of paying too much for inferior quality goods? Towel Super Center sells premium-PLUS quality discounted hand towels at unbelievably low bulk pricing! Extremely low pricing — the more you buy, the more you’ll save! Towel Super Center makes it possible for you to get low prices on multiple types of towels for your business. You'll find tremendous value and attentive service from our team, whether you're buying cotton towels for your gym, hotel, salon or golf resort. Towel Super Center makes it easy to save money on bulk orders of premium-PLUS hand towels. Browse our selection today! 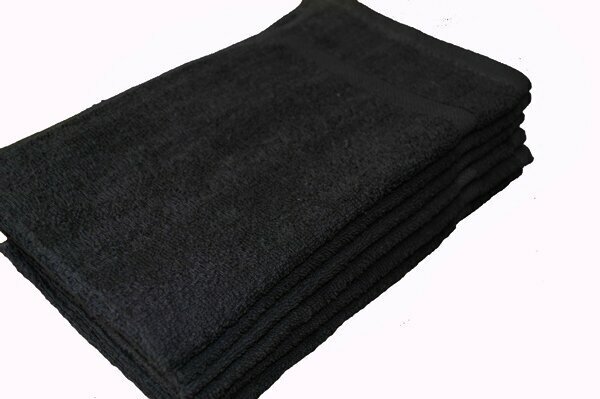 i was looking for wholesale towels for our business... came across this site and ordered some of the premium plus black hand towels ... they are real nice and fluffy towels i must say but you have to first wash them to get that extra fluff ... we are very happy!